Serving the Houston, Texas region and accepting cases from throughout the state, we assist clients with Medicaid Planning, Elder Law and Estate Planning matters. Government assistance programs such as Medicaid, Medicare, and veterans pensions provide people with access to medical and long-term care services that they could not otherwise purchase with their income. Unfortunately, the eligibility rules and the procedures for applying for these programs have become so complex that they are extremely confusing to the people they are designed to help. 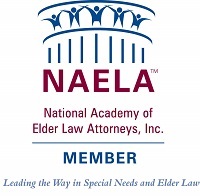 In addition we draft wills, powers of attorney, Advance Directives, living trusts, special needs trusts, and other estate planning documents with a focus on elder law issues. At The Stone Law Firm we are dedicated to helping older people and the disabled in the Houston, Texas area, obtain government benefits and access to quality care, while ensuring they have the benefit of every legal opportunity to protect assets. Houston Medicaid attorney Nancy Stone, JD, MPH has the expertise in elder law and Veterans' benefits to help seniors and their families and caregivers obtain the best results at reasonable rates. Attorney Nancy Stone completed a joint degree program in health law and public health, earning a Master of Public Health degree, as well as a Juris Doctorate. Licensed by the Texas State Bar since 1993, she has worked with health law and policy issues throughout her career as an attorney. Nancy Stone has both the professional and personal experience to compassionately and skillfully assist her clients with navigating complex public health and government assistance programs. She is certified by the U.S. Department of Veterans Affairs. She has also worked extensively with health care policy issues, drafting and testifying on legislation in the Texas Legislature and advocating on health care issues in the U.S. Congress. She served as president of the Texas Chapter of the National Academy of Elder Law Attorneys and was awarded the chapter's Outstanding Achievement Award for 2009. In addition, Nancy Stone is a public speaker and published writer on elder law and public health issues. She currently serves on the board of directors of the National Consumer Voice for Quality Long-Term Care. Contact our Medicaid, special needs, and estate planning lawyer for a free initial telephone consultation and learn more about the valuable Medicaid, Veterans, Special Needs, and Estate services we provide. Our goal is to make this process as easy for clients as possible. We are based in Sugar Land, Texas serving clients throughout the Houston Metropolitan area at eight office locations, including River Oaks, Greenway Plaza, Bellaire, Champions, Jersey Village, Dairy Ashford, Sugar Land, and The Woodlands; but if you are unable to come to our office, we will visit you in your home, hospital room or long-term care facility. We are open 8:30 a.m. until 5 p.m. Monday through Friday.